SAN DIEGO (KGTV) - The rush is on for San Diegans impacted by the government shutdown. Federal workers aren’t the only ones hurting. 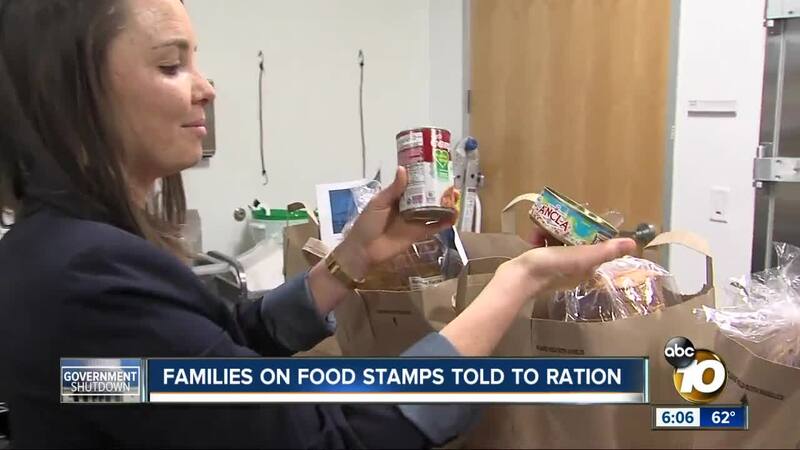 Families relying on food stamps are being told it’s time to ration. June says she’ll go to a neighborhood church if her circumstance worsens. She said Ocean View Church on Palm Avenue and Imperial Beach United Methodist on Palm Avenue also give out food for those who need help. Jewish Family Service also hands out food to those non-federal workers on the 3rd Thursday of every month at St. Paul's Cathedral across from Balboa Park from 1-3 pm.